Mary Lang Rudd, 77, of Maysville passed away Sunday, April 29, 2018 at her home. She was born in May’s Lick on May 5, 1940 daughter of the late Charles T. Lang, Sr. and Martha Warner Lang. 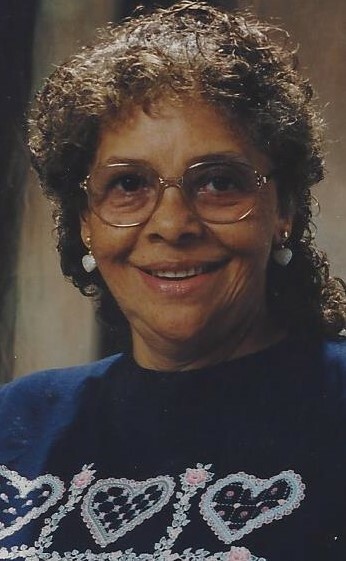 She was a loving wife, mother, and grandmother and a member of Haven’s Chapel Methodist Church. Survivors include a daughter Tammy Rudd Hunt of Maysville; 12 grandchildren, Shaunita, Andrea, Gabrielle, Gabriel, Shanta and Alan Rudd, Omegga and James Phipps, Anton Brooks, Jamie Buford, Latasha Brown and Christina Lang; 30 great-grandchildren; 2 sisters, Martha Slater of Columbus, OH and Peggy Humphrey of Maysville; and several other relatives and friends. She was preceded in death by her parents and her husband James C. Rudd on July 20, 2017; 3 sons, Jeffrey W. Rudd, Conrad Rudd and James R. “Dickie” Rudd; a daughter, Annetta Rudd; a grandson, Jeffrey Rudd; 2 sisters Annetta Fox and Dorothy Wells; 2 brothers Charles T. “Sugar Bear” Lang, Jr. and Robert Lang.